IODE Heritage was organized in St. Stephen in June 1972 and the charter was granted September 6,1972 and bestowed on September 21,1972. Heritage Chapter is proud to have initiated " Born to Read " in St. Stephen in March 1993, after a full year of preparation This early childhood literacy program spread exponentially once it became a New Brunswick Provincial IODE Program in1994. It became a truly province wide program reaching every newborn when the government of the Province became involved in 1997 and then began to support it financially in 2000. That government support continues ,as does the support of IODE Heritage and IODE New Brunswick. The program works because of the many individuals and partnerships that support its work and vision. It has inspired similar programs in Provinces across the country. Children,youth and literacy continue to be the main thrusts of chapter work ,as members creatively raise funds to see that nutrition and educational opportunities are available to youth and children. Most recently new-to-you jewelry sales for local and provincial IODE bursaries, the penny power project for nutrition in 3 elementary schools and the pashmina scarf sales all enhanced IODE awareness and have led to healthy growth in the chapter. 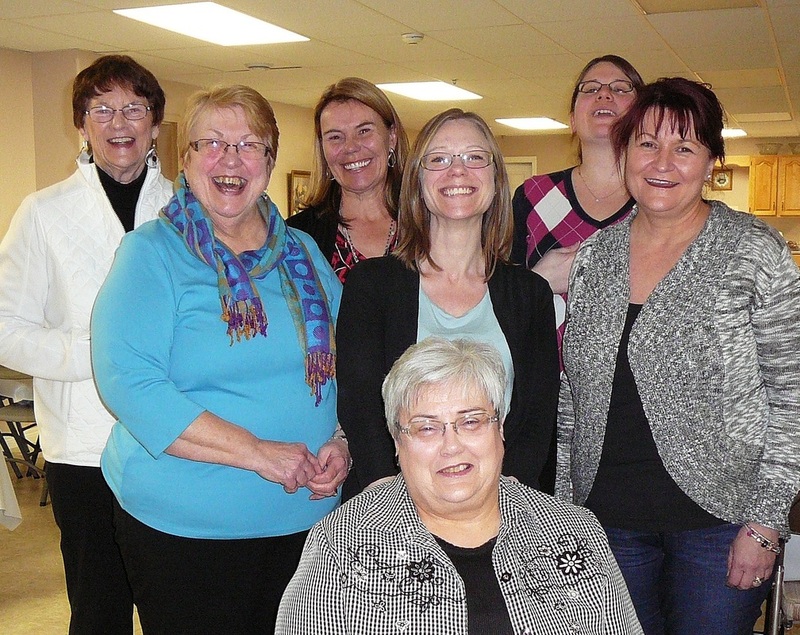 Our members have consistently supported women and children in need, given help to seniors and families and enjoyed being an important part of the fabric of community life in St. Stephen. Interesting speakers and programs keep members informed and willing to explore additional ways to assist our community and country. Heritage Chapter has always been fortunate in its members because they consistently embrace growth in ideas,change in direction when necessary and focus on what would be best for children in our community and province.Serving as president for the third time in my three decades with the chapter,I feel honoured to be leading such a diverse,funloving and commited group of women of all ages.We laugh well and often as we plan and work together and there is always room for more women who think we might be a fine group to meet with monthly. Our broadly diverse membership meets the first Wednesday evening of the month, at 7:30 pm (except July and August) in member's homes or suitable facilities. We are welcoming, enjoy each other's company and have fun while working to benefit the lives of the various individuals who need us .Contact : Maria Kulcher at kulcher@nbnet.nb.ca or (506) 466-5416 to learn more about how to join us.